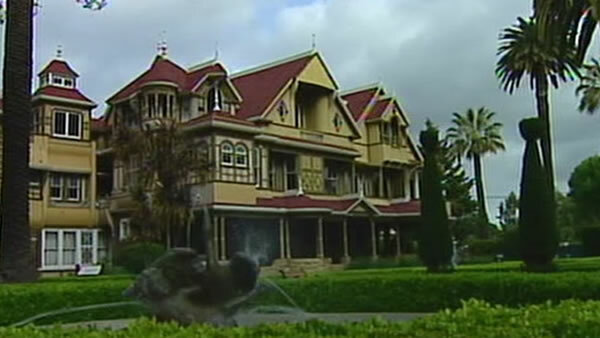 SAN JOSE, Calif. -- A new room has been discovered and is open to the public at San Jose's Winchester Mystery House, a Victorian mansion that was home to a widow of the Winchester rifle fortune. The home's preservation team recently opened the new room, which is an attic space that has been boarded up since Sarah Winchester died in 1922. Winchester boarded up the room after the 1906 earthquake because she was trapped in the room and she thought evil spirits were responsible for the quake. The new room means 161 rooms have been found in the mansion that is a California state landmark, San Jose landmark and is listed on the National Archives of Historic Places. The house has 10,000 windows, 2,000 doors, 47 fireplaces, 40 staircases, 13 bathrooms, and nine kitchens.